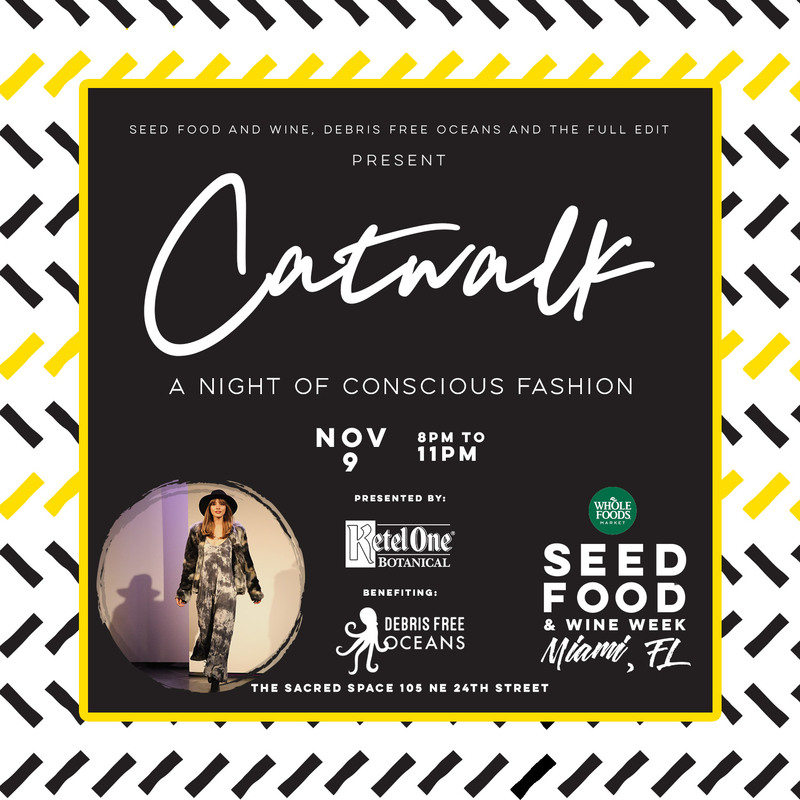 SEED Food and Wine x DebrisFreeOceans x The Full Edit present a fun, educational runway show displaying the finest eco friendly, ethically sourced, up-cycled, conscious fashion that has ZERO animal products. The event will take place on Friday, the 9th of November, 2018, from 8-11pm, at the Sacred Space in Wynwood, Miami. Tickets for the event can be purchased from SEED, selecting the “Catwalk A Night of Conscious Fashion” option. At the event, Debris Free Oceans will host a raffle for three SEED Food and Wine Festival Tickets, each of them valued at $55, and a $250 gift certificate to Bhava shoes. Raffle tickets will be available for purchase at the event for $10 each. 15 local and eco-friendly brands participate at the 4th Annual Eco Fashion Show.